Introducing Jaguar fragrances that stylishly symbolize a strong personality and reflect a distinctive, modern scent and design philosophy, to satisfy a wide range of tastes. Ideal deodorants for men created for successful, self-confident men who is bold enough to wear a strong, masculine fragrance produced in the classic perfumery tradition. 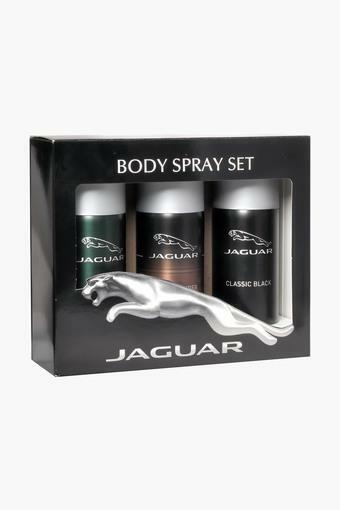 A fresh, vibrant and elegant body spay from Jaguar that has timeless fragrance with a very masculine signature.